Looking and feeling your absolute best is an easily achievable goal thanks to the wonderful array of treatments on offer at Euromed. For many, however, the cost of a one-off treatment fee can be prohibitive and stop them investing in such treatments. Thankfully, Euromed has a fantastic solution that means you can have the smile, body and face of your dreams without needing an A-list income! 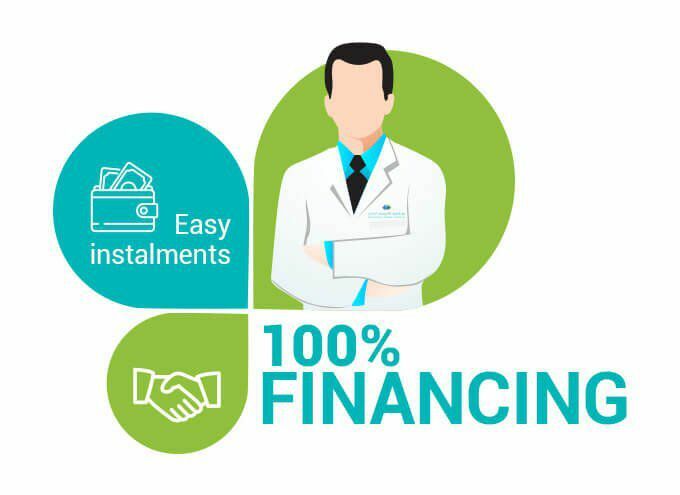 The clinic has partnered with Mashreq Bank and Emirates NBD to allow their clients a more affordable way of paying for cosmetic, medical, dental and aesthetics treatments. You need to be a credit card holder from either Mashreq Bank or Emirates NBD to receive an instalment-based finance plan. Your total treatment amount needs to be at least AED 3,000. For Mashreq Bank customers, you can pay for treatments in 3, 6, 9 and 12-month instalments; while for Emirates NBD you can have up to 6 months of instalments with 0% interest on the credit card.